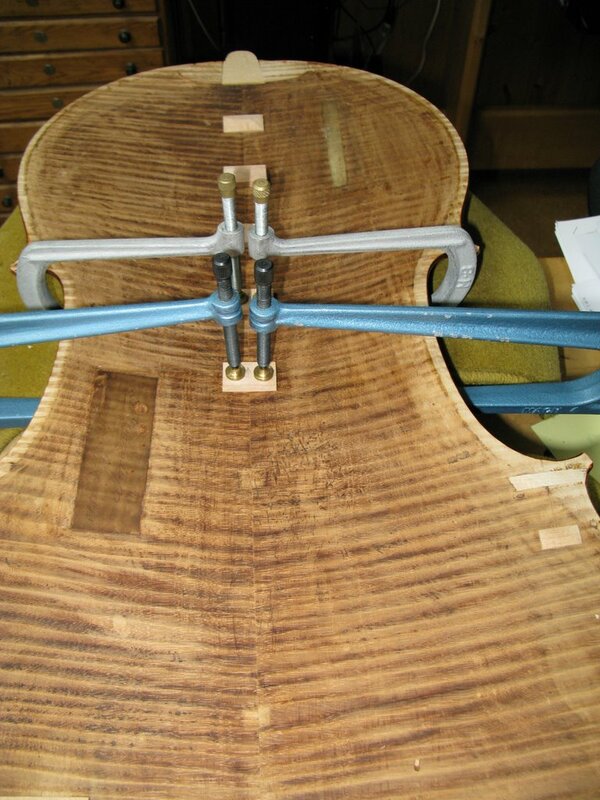 Jim is currently working on the restoration of an historic instrument - the No. 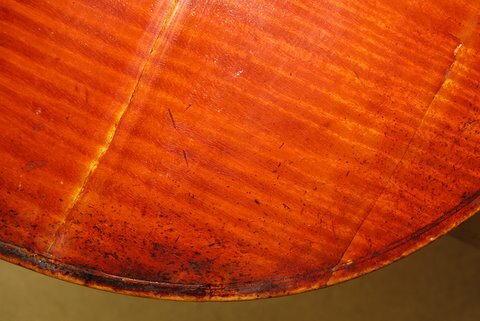 1 cello made by George Gemunder, Jr. of New York City in 1888. 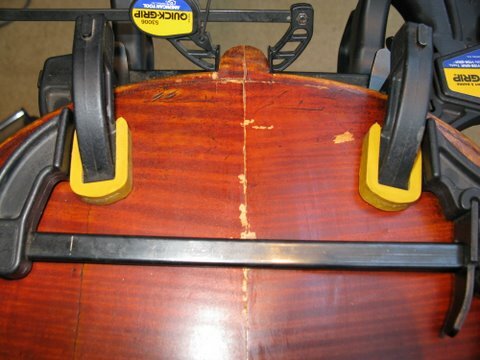 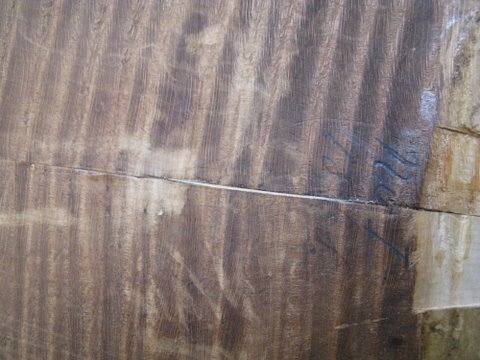 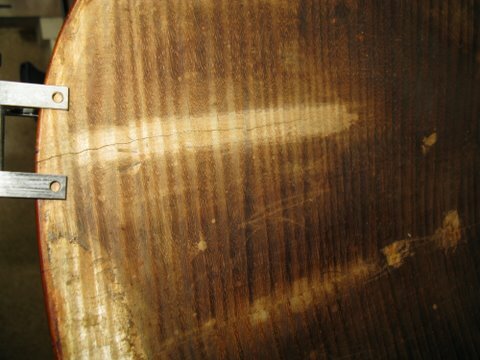 This cello is original in all of its major components but had not been played for many years. 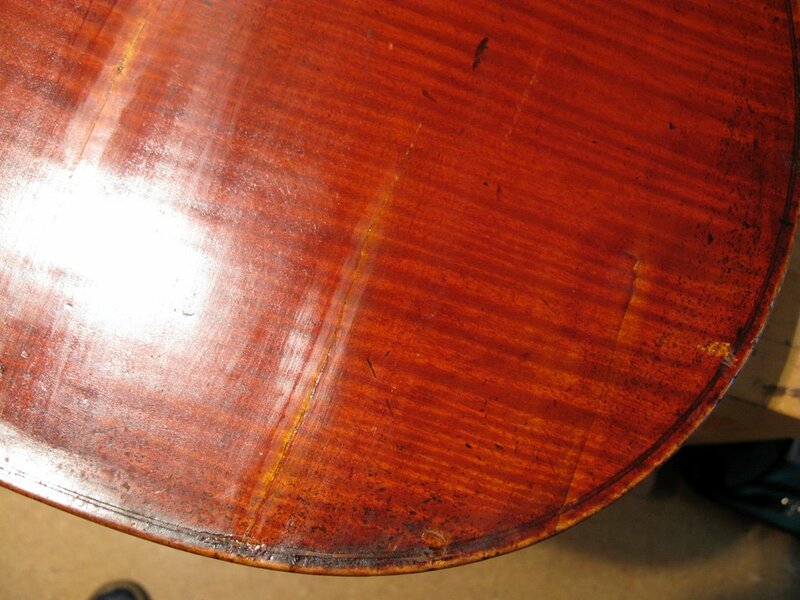 It arrived in poor condition with many past repairs of varying quality. 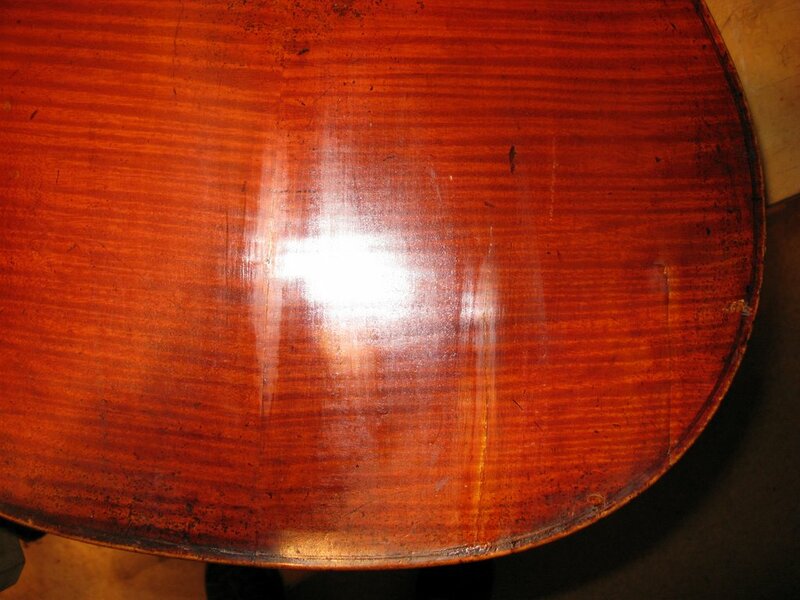 Once Jim has completed the restoration of this instrument, it should fully regain its remarkable beauty and voice. 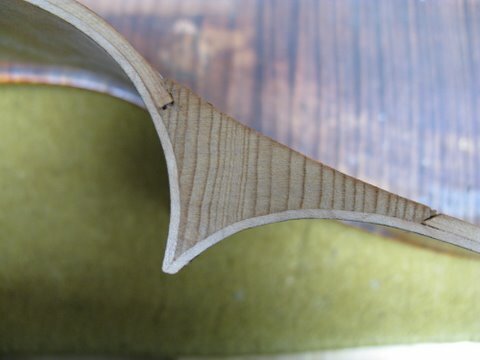 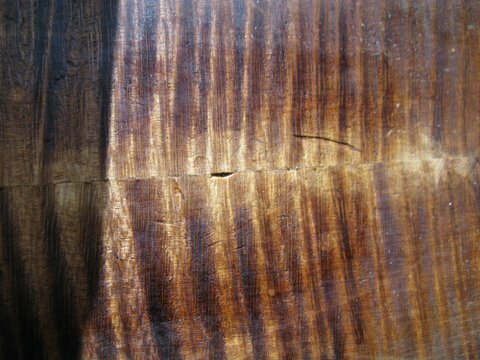 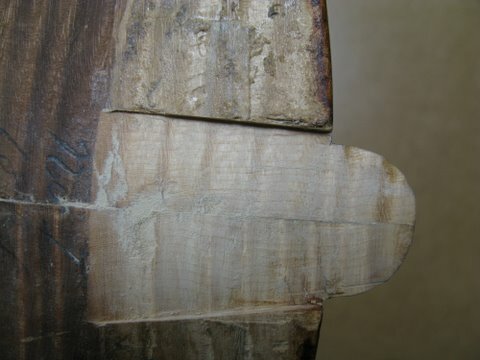 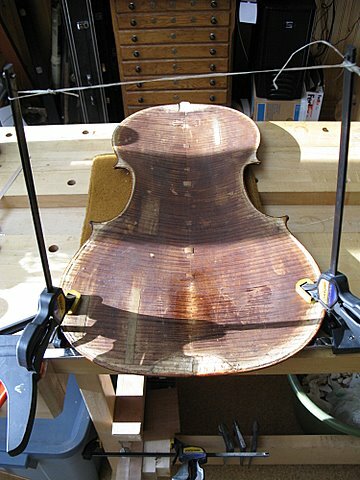 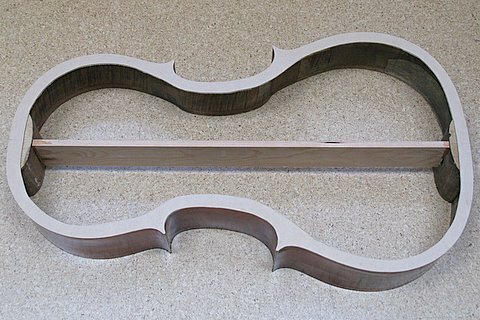 The pictures below document the latest progress on the Gemunder cello back. 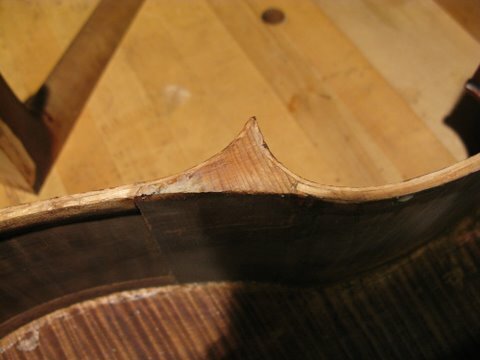 As you can see, I've now glued all of the cracks (including a hairline one next to the big ugly one in the lower bout - that's why the reinforcements are wider there). 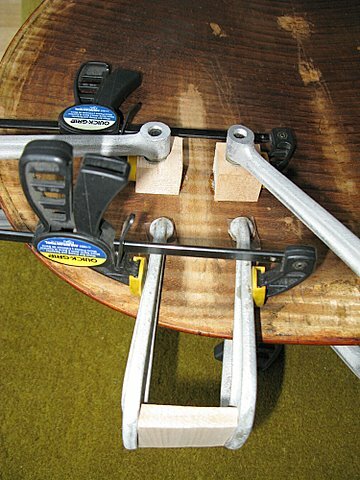 I have also now chalk-fitted and glued in 10 cleats along the center joint. 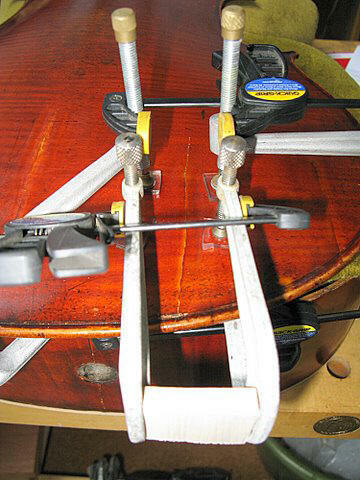 Because the center joint was a problem before, I elected to make them a little bigger than usual just to be safe. 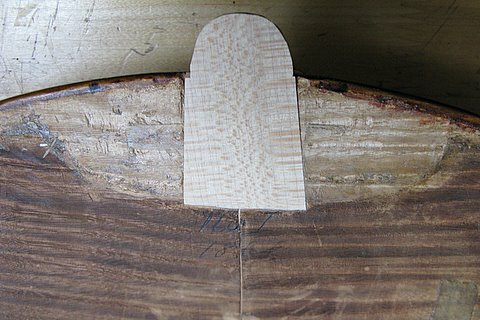 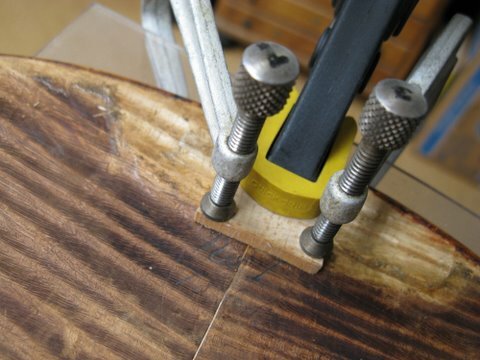 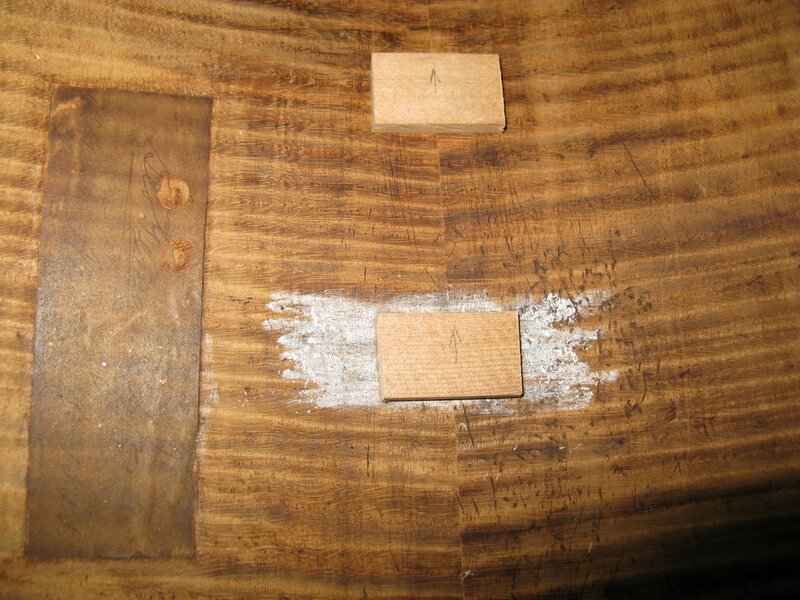 I inlaid a reinforcement for the crack at the lower corner block. 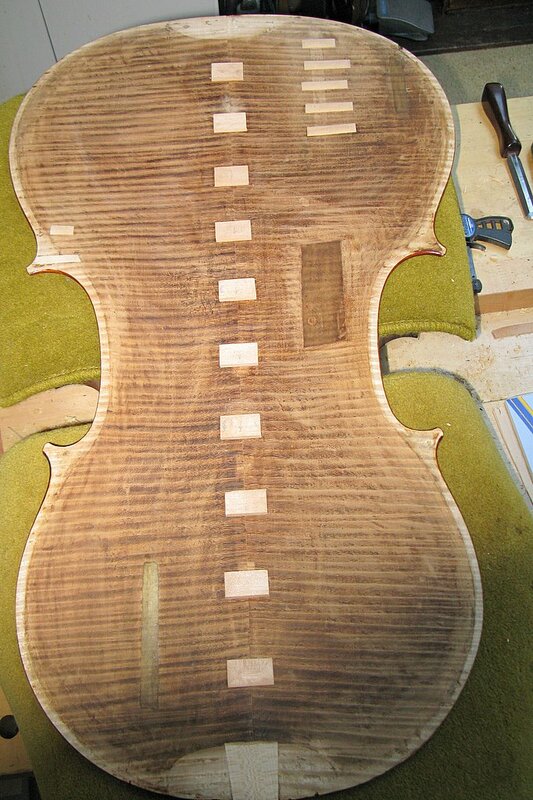 Now the repairs on the back are complete except for retouching which will have to wait until the body is glued back together. 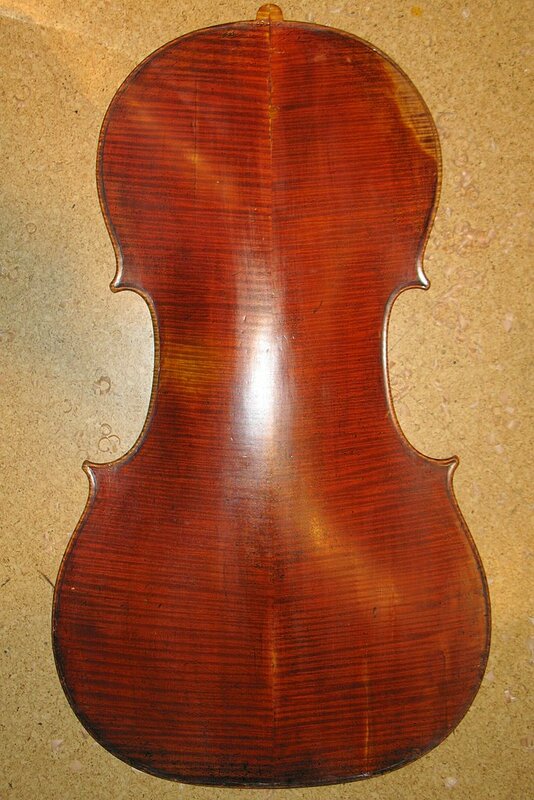 The back now has a clear ringing tap tone which tells me that it is free of loose cracks or discontinuities. 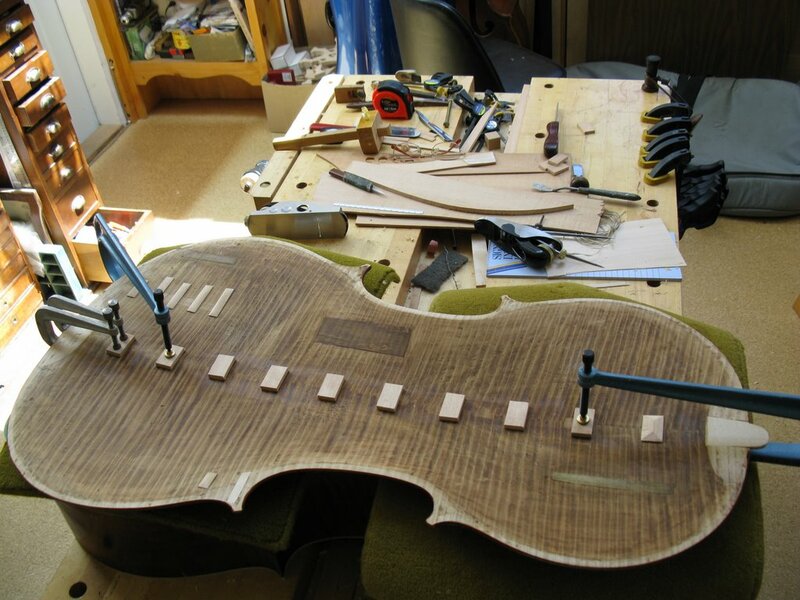 Now on to the ribs!